While we are located in Benton, AR our guys will travel to your location to service all your tree needs! 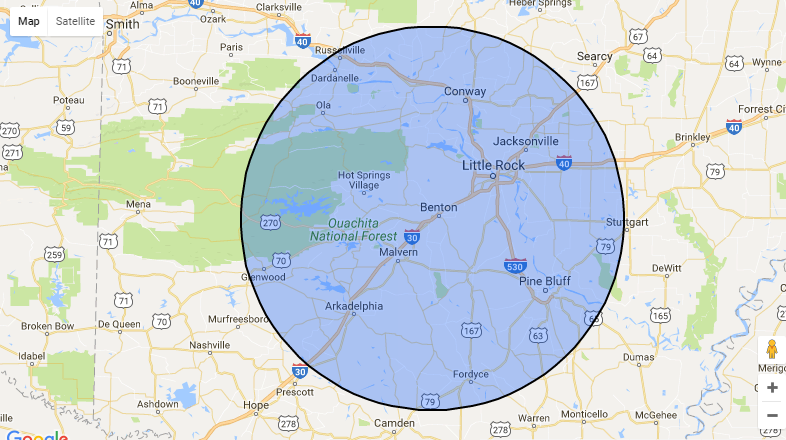 Some common areas you can find us at work include the Little Rock and Jackonville area; but we service even the smallest towns here in Arkansas. Don't see your location listed below? Give us a call and let us know where you are located!